Spring is officially here, finally! A new season always means new clothes, it's the perfect excuse to do some shopping. Although the shops have started selling bikinis and denim shorts it's still far too cold for that, so my Spring Wishlist is much more tailored to the current weather. 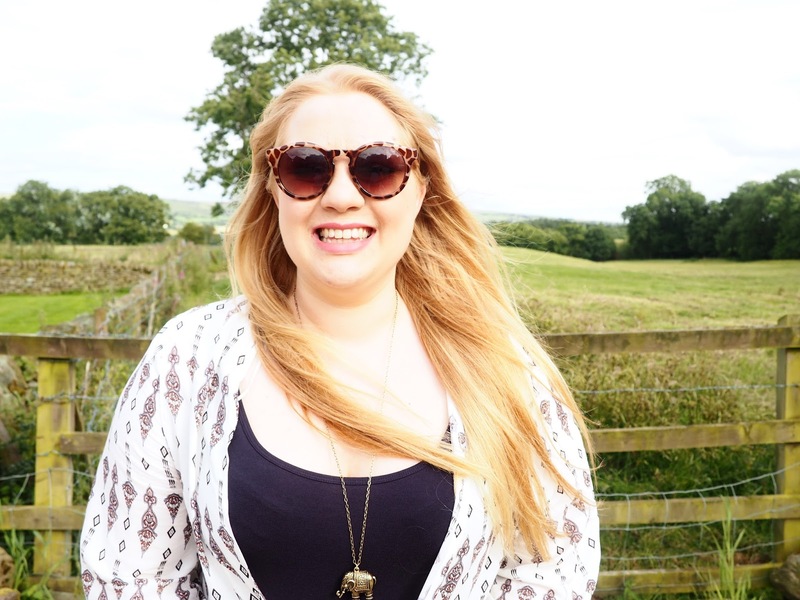 I live in jeans all year round and although I already own far too many pairs, I'm always looking for more, I'd never thought to look for jeans on M and M Direct, but they have some really good deals, with some pairs for under £5. This pair from Onfire are just some standard jeans, I prefer the lighter mid wash denim for Spring as it brightens an outfit up a bit. This Onfire long sleeve shirt is also from M and M Direct and I love it! Perfect for Spring, and such a bargain. Kimonos are something I'm loving now I've gained weight. I'm not comfortable showing my arms, but cardigans can be too casual looking sometimes, and blazers too formal and hot. A kimono is lightweight and a bit smarter than a cardi, this stone coloured one from Dorothy Perkins is exactly what I've been looking for. The pussybow shirt from Asos isn't something I'd usually go for, but I was really drawn to it, I can see it either looking terrible on me, or actually really great. Going out in Winter usually means wearing black all the time, but now its Spring I want to bring a bit more colour into my wardrobe. I love the paisley print on this Asos playsuit, and I love that it has long sleeves. The Boohoo dress is the perfect in between for Winter and Spring, and I love the fit, skater style dresses always suit me best, so this would hopefully look good on me! 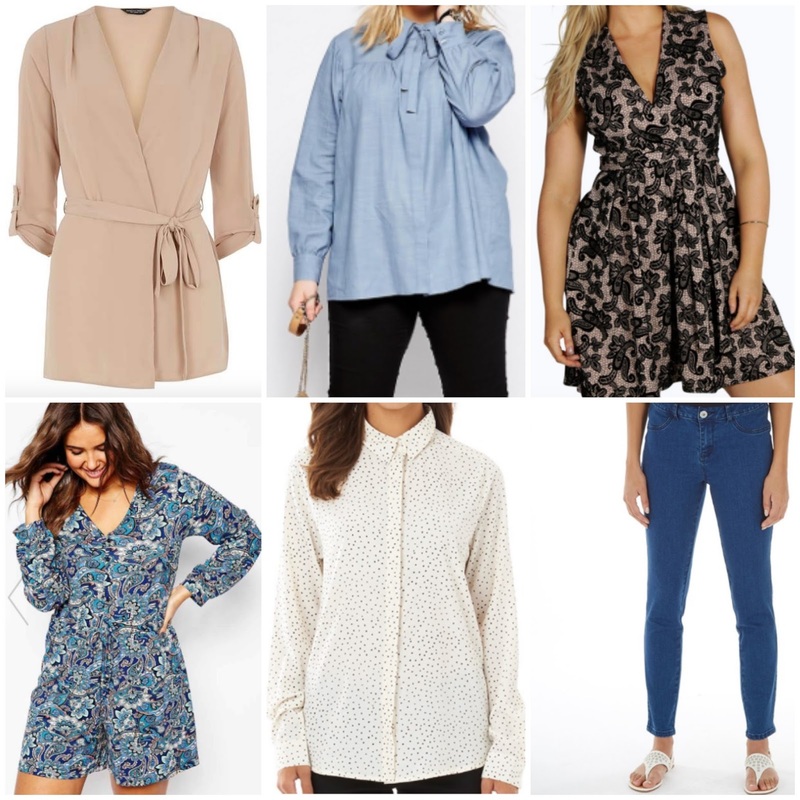 I'd love to know your favourite places to shop for plus size clothes, or your go to Spring colours, mine are usually shades of blue or green. *This post was written in collaboration with M and M Direct, however all thoughts and opinions are my own. Ironically, today is the International Day of Happiness, but, I don't think I'm very happy. I haven't said this out loud to anyone, although maybe my close friends have picked up on it, at the moment I'm not very happy. I feel low. I'm not depressed, I know the difference and I know I've felt worse than I do right now, but I'm still just not happy. This doesn't stem from anything in particular, in fact lots of things in my life make me very happy. I have a great job that allows me to do something I love, is a great step in my career and means working in a relaxed environment with some wonderful people. I laugh every day. I have great friends, who I can contact any time and I know they will be there for me, I have a loving family, and I have two kittens who I adore. But I can't shake this feeling, I can't get out of this overall mood that right now I'm not happy. The past two years have been a bit of a roller coaster for me, with anxiety, uni stresses, a relationship breaking down and then ending, moving home, no longer being close to a lot of my friends, starting a new job and coming off medication. It's been a lot, and some days I've felt like I couldn't cope, some weeks, even months were terrible, but overall I'm in a much better place now. I'm off medication, and on the whole, a lot less anxious. I'm coming to terms with the end of my first real relationship, and I'm getting used to working full time. But general happiness still feels just out of reach. I've been craving attention, validation and love from new people, when really I should be focusing on giving myself attention, validation and most importantly love. I need to remember to accept the love my friends and family have for me, that is just as important and as validating as love from a man. My mind has been busy, I've been distracting it. Really I need to give it time to slow down, to breathe, to find itself again. I need to balance myself, to be happy with myself and to find out what truly makes me happy. Am I happy? No, I don't think I am right now, but, I'm not unhappy. I'm stuck in the middle trying to work out who I am and what I want and where I want to be. Trying to decide what makes me happy, and trying to focus on things that don't rely on someone else to maintain my happiness. I'm taking a break. No more searching for someone to make me happy, no more feeling like my life isn't complete without someone to love. I am enough to make me happy. I just need to find out what it is that makes me happy. So, Happy International Day of Happiness! I truly hope you're happy today, and every day. I hope if like me, you're not happy right now, that you can find a way to happiness. I hope that if you're very unhappy, or struggling with depression or any other mood effecting illness, that you can see the light at the end of the tunnel, even if it is only a pinprick. I hope that you know this isn't a forever feeling, and that happiness is possible. Its time for me to start focusing on myself, and hopefully find happiness again. I'm a sucker for photos. I remember as a young teenager covering my wall with photos I'd had printed out of me and my friends. They can capture a memory or a feelings so perfectly, and transport you back to that time. The sad thing about taking photos nowadays is that they're digital and not physical. You can view them on a screen but you rarely get them printed out to see. So when Cheerz got in touch and asked if I'd like to print out some of my favourite photos I had to say yes. 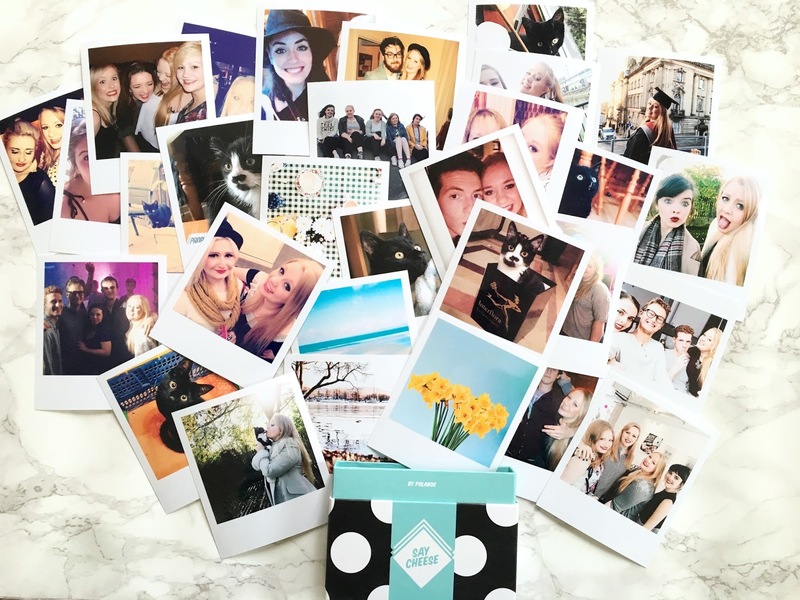 Cheerz wanted to make printing quick and easy but with fun high quality products. 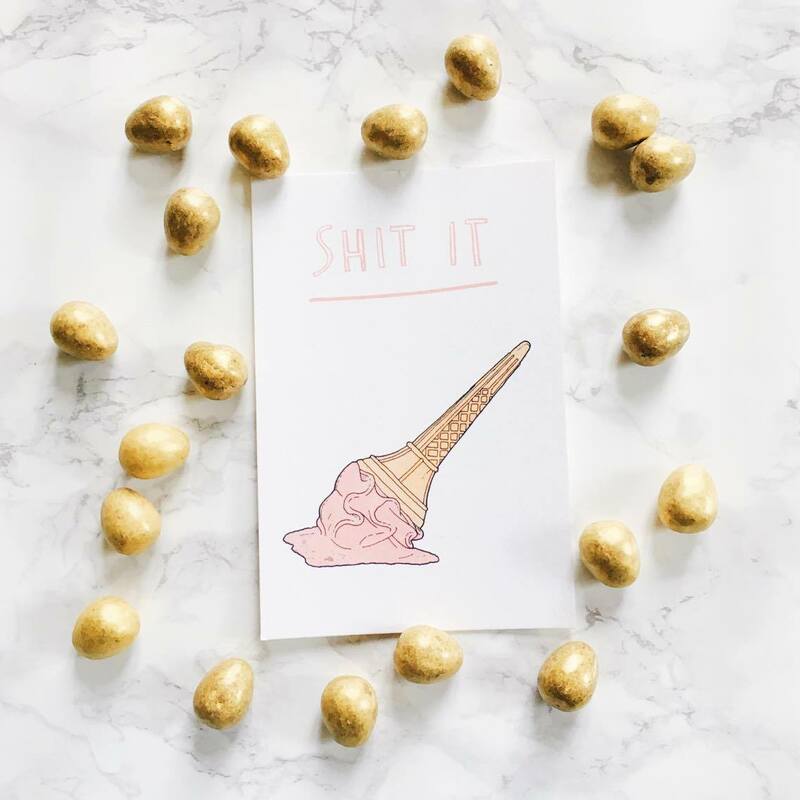 They offer a range of products which put a twist on your usual printed photos. From a Cheerz Box holding up to 35 polaroid style photos, to individual prints, magnets and photo albums. They even offer photobooth style strips. I decided on a Cheerz Box featuring a bunch of my favourite photos. 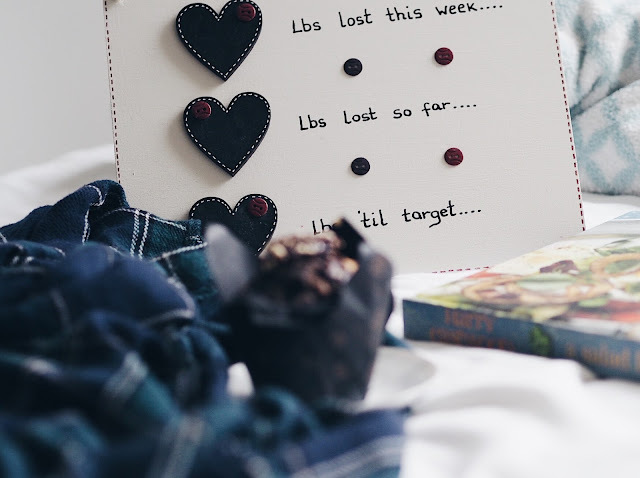 You might have seen I'm already loving these polaroid photos in my Desk Makeover post, where I created a display above my desk. I wanted to add to this and include some newer photos, as well as finding other spots to display pictures I love. 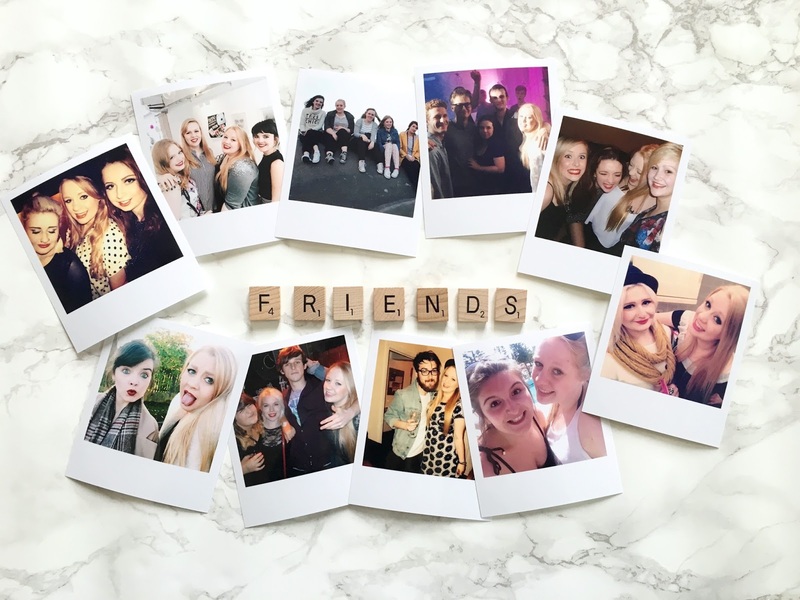 The polaroids are really good quality, and unless the original image is low resolution they all came out really clear. The boxes themselves are really cute and small enough to easily store if you didn't want to display the photos but wanted to save them to look at in the future. The process for choosing the photos is really easy, you can choose from your phone or laptop, or sync with Facebook, Instagram or Dropbox. You then just click the photos you want and once you reach the limit you can review them, the site also alerts you if a photo is too low-res, and gives you the chance to crop it to the preferred area. You can even add a filter, change the box colour and add text. I was also lucky enough to receive another Cheerz product. 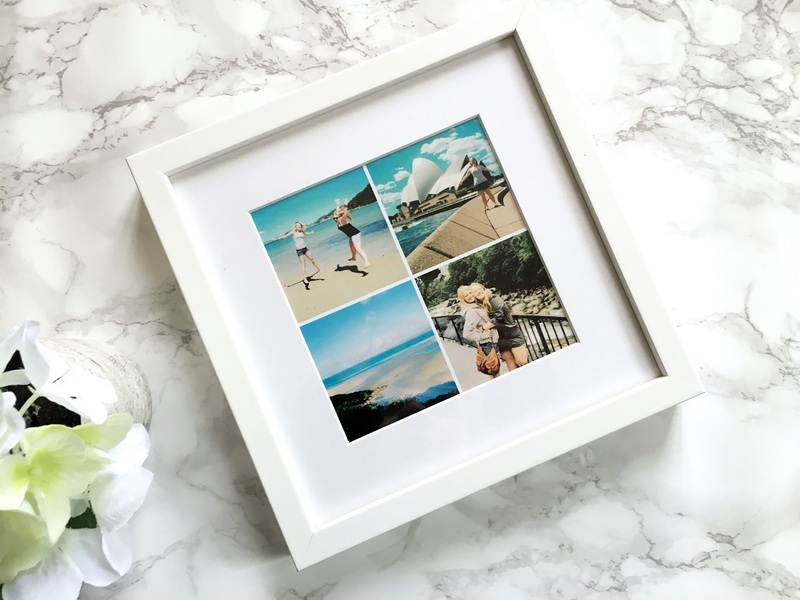 The Little Square is a frame featuring four photos and is the perfect size. I decided it was a great way to show some of my favourite photos from my trip to Australia with my best friend a few years ago. The quality of the photos wasn't the best resolution, but because the square isn't too big it still looks good. 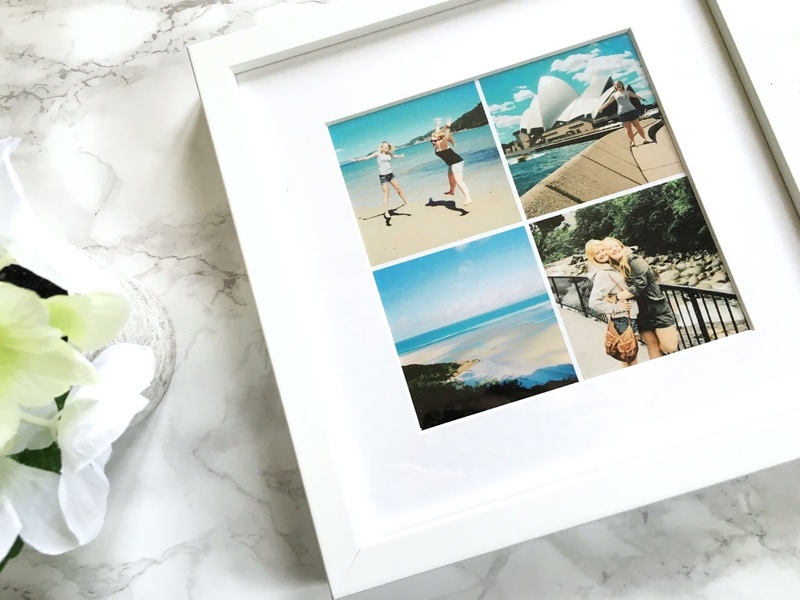 I love that the frame is white, but you can choose between a few finishes, and its made of a lightweight wood so isn't hard to hang or display. Overall I was really impressed with Cheerz, I think they offer a really great range of products at reasonable prices. 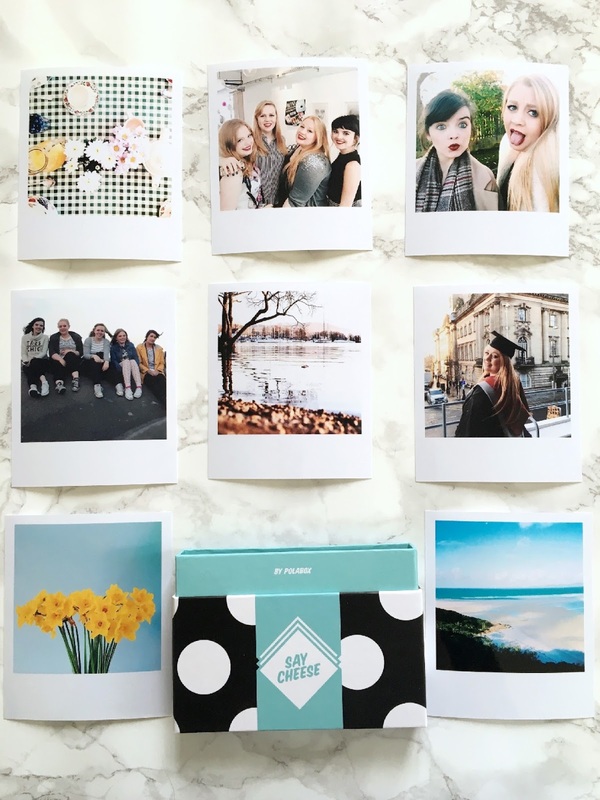 They would make such lovely gifts, or are just a nice way to display some of your favourite snaps. 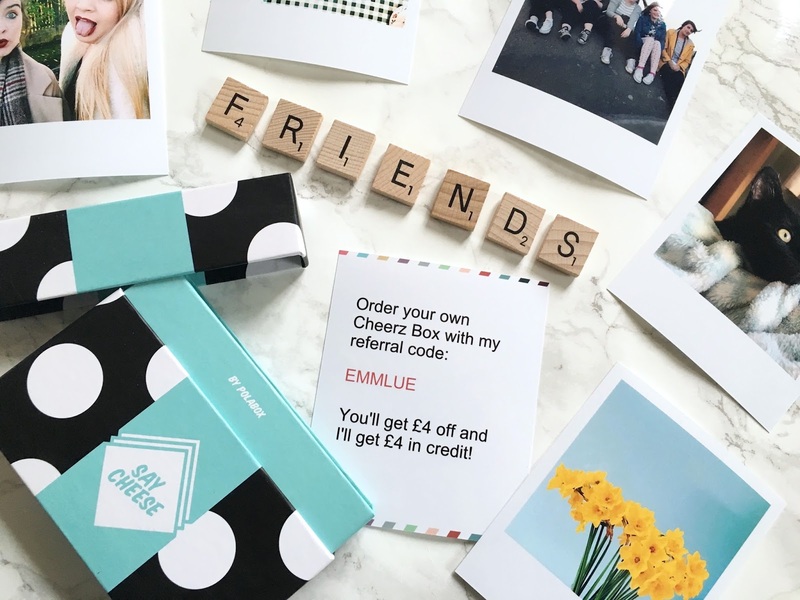 I've even got a discount code for you, if you use EMMLUE you'll get £4 off your order! I'd definitely recommend checking them out. *Cheerz sent me these products to feature on my blog, however all thoughts and opinions are my own. Winter is still hanging about but its definitely time for me to start embracing Spring, even if the weather isn't exactly cooperating! This season has been my first working full time and starting my days at 5:30am on weekdays, so I haven't had as much opportunity to 'play' with makeup, instead turning to quick and easy products. Nail products are always something I love in the winter, as the colours are really me, dark reds, blues and a bit of glitter! The Sprint Finish shade from Barry M is gorgeous and I love the formula. The Revlon Quick Dry Top Coat is a life saver for when I need my nails to dry quickly, it definitely speeds up the drying process. I've been loving some classics the past few months. 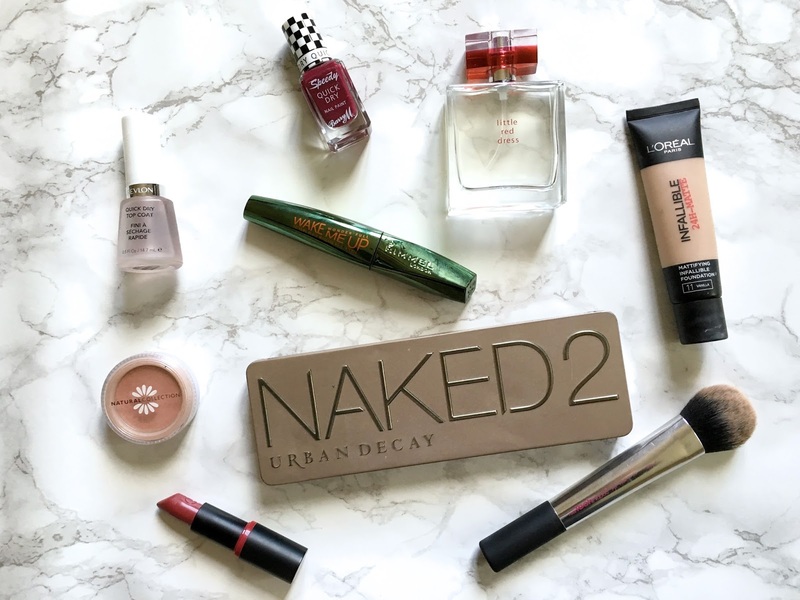 My Urban Decay Naked 2 always gets a lot of love, it's my favourite palette and I've been going back to it quite a lot. The Natural Collection blush in Peach Melba is another favourite, such a lovely colour, it looks really natural. For foundation I've been enjoying something a bit higher coverage and this L'Oreal Infallible Matte foundation is a good coverage but not to heavy. Contouring has been something I've dabbled in a bit more this Winter, and the Real Techniques Duo Fibre Cheek Brush from the Nic's Picks set is a perfect brush for contouring, it fits perfectly under my cheek bone but isn't so dense that I get a obvious line. I recently ran out of a lot of my nice perfumes and rather than spending a fortune replacing them I decided to try a more affordable option. This Little Red Dress perfume from Avon was on offer when I was flicking through the catalogue so I decided to order, and I'm really impressed, it smells lovely and lasts really well on me. I didn't realise how long I'd been using the Rimmel Wake Me Up mascara, but I actually mentioned it in my Summer favourites. Its a really nice everyday mascara, its lightweight and doesn't feel heavy on my lashes, but gives them a nice coating of colour, adds some length and volume and separates them. I wouldn't say its an amazing mascara but its perfect for my 5:30am starts! Finally, a product I only picked up a few weeks ago, is the Essence lipstick in 04. I love this formula, and I've mentioned a different shade in a previous favourites, it's really great and for such a great price. This colour is a beautiful red, but its not too intense so can be worn a bit more easily. I really love it and will definitely continue wearing it throughout the year. I'd love to know what products you've been loving the past few months, or if you've got any you think would be perfect for Spring. Not that I need to buy any more beauty items!